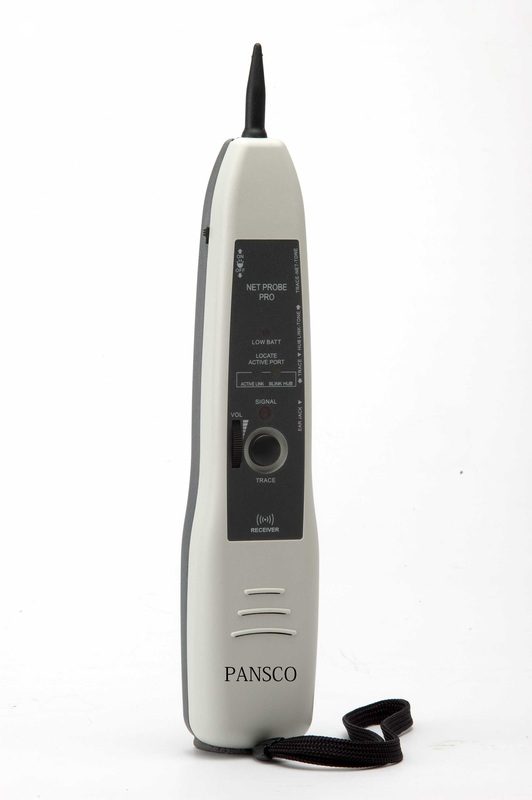 Net Probe Plus is a multi-function probe especially for today’s network environment, cable typically are terminated end in HUB or switch ports. It not only used to receive tone to trace a wire or cable, but also by transmitting a link pulse to the far end device to blink the link light for the connected port to identify an active network cable or port connection on a HUB or switch. Simultaneously, it will send back a signal to the probe to blink or light the〝Active Net〞LED to confirm the status of an active network. It also transmits a tone on pair 4/5 through RJ45 jack on Net Mode that can be detected with another probe to identify the conductor within a bundle, or at a cross connect point. 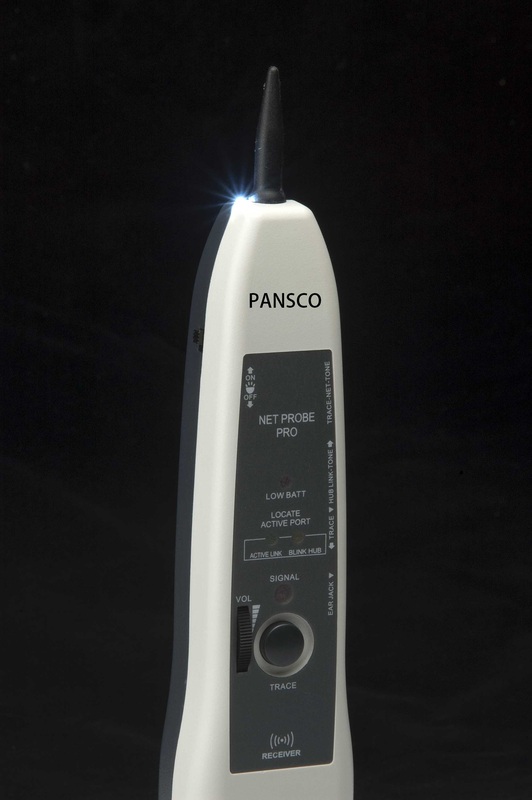 The Net Probe Plus features a flashlight that will help to find the target in dark field. The test function includes: checking continuity and polarity as well as verifying the phone line condition. It equips with a 2.5mm headset jack to listen the tone in noisy environment. It also comes with adjustable volume (gain) control, signal LED and battery low indicator for enhanced accuracy, plus a replaceable composite tip for reducing the risk of shorting live terminals. 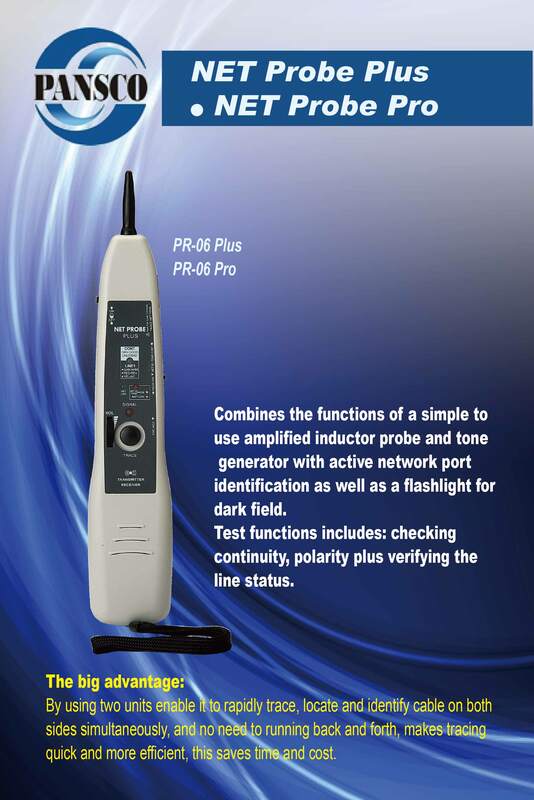 PR-06 plus is a perfect companion to any network professionals for installation, service and repair. By using two units enable it to rapidly trace, locate and identify cables on both sides simultaneously, and no need to running back and forth, makes tracing quick and more efficient. This saves time and cost. Combines the functions of a simple to use amplified inductor probe and tone generator with active network port identification as well as a flashlight for dark field. To locate cable on active network when terminated at HUB/Switch. Net link LED confirms the end of cable connect to an active network device. 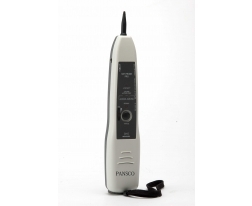 Transmits a tone with another probe to trace and locate cable. Test functions include checking continuity, polarity plus verifying the line status. Comes with adjustable volume control, signal LED, battery low indicator, and 2.5mm headphone jack. Red and black alligator leads to RJ11 cable includes. RJ45 Jack, 2.5mm earphone jack, replaceable tip, trace button and volume control. Toning, Tracing, blink Hub port light, active Ethernet port detection and identification, LED flashlight. Continuity and Polarity/Voltage test for Line 1. 0℃ to 50℃ / 32℉ to 122℉.